This book offers an ethnographic study of the initiation ritual practiced by one coven of Witches located in Ohio. The participants are members of the religious community that describes itself as Wicca, the Old Religion, or the Craft. Within this community, initiation is seen both as the ceremony through which an individual becomes a member of the community and as a central transformative religious experience, expressed through performance and bodily praxis. 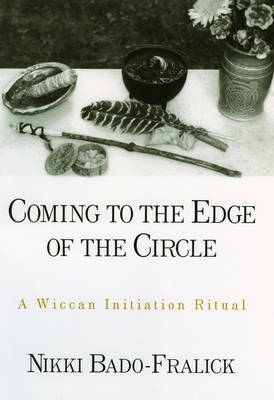 In addition to contributing to our knowledge of this secretive religious movement, Nikki Bado-Fralick's analysis of the Wiccan initiation ceremony offers an important challenge to the commonly accepted anthropological model of "rites of passage." As a High Priestess within the coven as well as a scholar of religion, Bado-Fralick is in a unique position to contribute to our understanding of this ceremony and the tradition to which it belongs. Arguing the value of her dual role as scholar/participant, she also offers a thoughtful and perceptive self-analysis of the dilemmas this role involves.